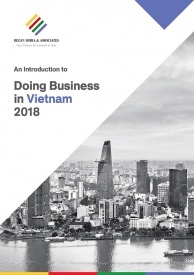 According to the recent EuroCham’s Business Climate Index (BCI), European companies continue to remain optimistic about Vietnam’s business environment as well as the EU-Vietnam Free Trade Agreement (EVFTA) which will come into effect in 2019. The BCI for the first quarter of 2018 rose by one point compared to the last quarter of 2017, to 78 points. The BCI measures the business sentiments among European firms having a presence in Vietnam through surveys. European firms operating in Vietnam have historically been fairly positive about the business environment in Vietnam. Respondents who rated the current business environment as “excellent” reduced by 10 percent in Q1 of 2018 compared to Q4 of 2017. However, the percentage who rated the business environment as “good” grew by seven percent. Negative responses stayed at almost the same levels as Q4 of 2017. With respect to Q2 of 2018, business sentiments remain positive. Respondents who replied “excellent” dropped 11 percent, while ones who rated it as “very poor” increased by one percent. Overall, 69 percent of the respondents rated the business outlook as positive. The macroeconomic outlook among European firms continue to remain positive, with 55 percent of the respondents confident in the macroeconomic situation, nine percent higher compared to the previous quarter. The percentage of respondents who believe that the macromonomeric situation could deteriorate stayed at the same level, while ones who do not expect any changes decreased by 10 percent. For European firms, inflation did not seem to be a major issue, with 65 percent of the respondents stating that inflation will only have a “minor impact”, while 19 percent believed that it will have “no impact” on their operations. Around 17 percent of the respondents believed that it may have “significant impact” on their operations. Around 40 percent of the European firms expect to retain their workforce, same as Q4 of 2017, while 12 percent expect to “significantly increase” their workforce and 41 percent will hire reasonably. Companies looking to reduce workforce dropped from 10 percent in Q4 of 2017 to only five percent in Q1 of 2018, while ones who are planning to significantly reduce workforce accounted for two percent of the respondents. EuroCham members who plan to maintain their investments accounted for 45 percent of the responses, a nine percent growth compared to the previous quarter. There was a drop of seven percent in the percentage of respondents planning on “significantly increasing” their investments and an 11 percent growth in respondents thinking of increasing their investments moderately. The survey also included a question about the development of the regulatory situation in Vietnam in 2017. Around 37 percent of the respondents believed that there was no change compared to previous years, while 16 percent said that it has become “slightly complicated”. Almost a fifth (18 percent) of the respondents stated that the previous year’s regulations made their operations “significantly more complicated”. A quarter of the respondents agreed that the situation has slightly improved while two percent believed that there has been a significant improvement compared to previous years. As of 2017, 24 of the 28 EU nations have invested in Vietnam in 2,000 projects with total registered capital reaching US$21.5 billion. Industry, construction, and services were the major sectors that attracted EU capital. Bilateral trade has increased from US$4.1 billion in 2000 to US$50.4 billion in 2017. Vietnamese exports increased from US$2.8 billion to US$38.3 billion, while imports increased from US$1.3 billion to US$12.3 billion during the same period. Machinery, footwear, textiles, and agricultural products are the major Vietnamese exports, while machinery, transport equipment, chemicals, and animal products account for the majority of Vietnamese imports from EU. 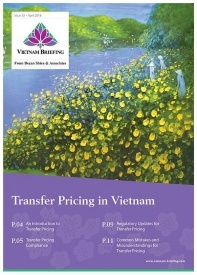 The EU Vietnam FTA, expected to be ratified this year will have a significant impact on Vietnam’s economy. By 2020, Vietnam’s GDP is forecast to grow by US$3.2 billion, and by US$6.7 billion by 2025 due to the FTA. Sectors such as garments, footwear, textiles, agricultural products, machinery, and automobiles will benefit the most compared to other sectors. The FTA is expected to attract higher investments not only from EU but also from European firms pursuing the China+1 strategy to diversify their operations in Southeast Asia. Vietnam will act as a gateway for European goods in Southeast Asia and may motivate EU to sign a trade agreement with ASEAN in the future. Going forward, Vietnam should continue to focus on reforming its legal framework in accordance with the FTA commitments to fully realize the benefits of the agreement.